The August 2012/2 Roundup is here and earlier editions are indexed here. I’ve been asked, very reasonably, why I don’t feature the BIS special offers from eclassical.com It isn’t always easy to be topical with these or with Hyperion’s regular half-price ‘please buy me’ offers (temporarily on hold during their sale but returning from the start of September). Both are well worth checking out regularly: at the time of writing there’s the 24-bit download of Bach Cantatas, Volume 51, a new release (BIS-SACD-1961) for the same price as the 16-bit and mp3, plus a 30% discount on Schütz Geistliche Chormusik (Sacred Choral Music, BIS-CD-831/2). From 30 August 2012 there will be an offer on Allan Pettersson’s Symphony No.6 (BIS-CD-1980) and his Symphonies Nos. 1 and 2 (BIS-CD-1860 - review), both with the Norrköping Symphony Orchestra/Christian Lindberg. The Purcell Quartet, with Peter Harvey (bass), Michael Chance (counter-tenor), Emma Kirkby (soprano), and Charles Daniels (tenor). Having recommended this recording at least twice*, I could hardly fail to be even more enthusiastic about the mp3 version being offered free to subscribers to Chandos’ theclassicalshop.net e-magazine newsletter for August 2012. It’s free to join, so there’s no risk involved. The pdf booklet is available from the link above and can be saved. * October 2008 Roundup and August 2012/1 Roundup in review of Teldec Harnoncourt and Leonhardt Bach cantata series. Nancy Hadden (flute, recorder and crumhorn/director); Emily van Evera (soprano); Erin Headley (viola da gamba, lirone and fiddle); Paula Chateauneuf (lute and renaissance guitar); Andrew Lawrence-King Gothic (harp, Spanish Harp and psaltery) – rec.1989. DDD. It’s good to see CRD recordings in general circulation again, on CD as well as in download form. Emily van Evera’s bright tones have practically become the default sound in my imagination for music of this period, even displacing Jantina Noorman’s even more forthright voice – her 1968 recording with Musica Reservata, Music from the Time of Christopher Columbus briefly surfaced on CD but has disappeared again: it’s worth looking out for a remaindered or second-hand copy. (Philips 432 8212). The booklet of texts and translations confers a real advantage, though there are one or two examples of careless proof-reading: En la fuente de un rosinel (tr.12) is correctly printed in the table of contents, but the final word is printed twice as rosine! in the text, suggesting that the booklet was produced from a scan of the original. Maguera pastor, the refrain of Ay triste che vengo (tr.19) is translated as ‘a mere shepherd’, when the feminine adjective clearly indicates that the recipient of the singer’s love is a shepherdess. 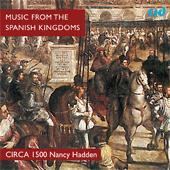 If you’re looking for another programme of Spanish music from this period, go for the slightly softer-toned performances on Music from the Time of Columbus (Linn CKD007, Catherine Bott et al with the New London Consort/Philip Pickett [55:57]). Download from linnrecords.com (mp3 and lossless). There are a few inevitable overlaps, such as the ubiquitous Niña y viña. 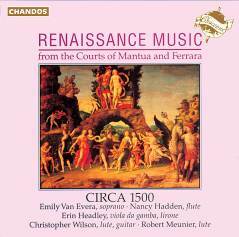 Emily van Evera’s forthright tone is a little less suited to the Renaissance Music from the Courts of Mantua and Ferrara, by Marchetto CARO and other composers, on Chandos Chaconne CHAN0524 [54:54] (Circa 1500 again, directed by Nacy Hadden (flute), with Erin Headley (gamba and lirone), Christopher Wilson (lute and guitar) and Robert Meunier (lute) – rec. 1984: download from theclassicalshop.net (mp3 and lossless) with pdf booklet of notes, texts and translations. Despite that small reservation, I still very much enjoyed the recording and there’s no direct rival in this programme. The earlier release on CHAN8333 is also still available for download at the same price – take your pick. Now that the Penguin Guide has been reduced to a shadow of its former self, many will have turned to the Gramophone Guide, but there are some composers who are shamefully neglected there and Dowland is one of them, with just three recommendations. Let me supplement that meagre offering, though such is the healthy state of recorded Dowland that I’m able only to scratch the surface. 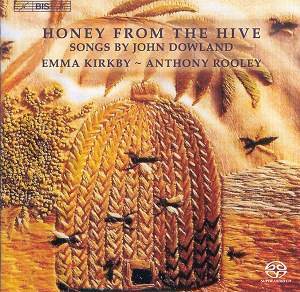 No collection should be without recordings by Emma Kirkby; the enthralling album Honey from the Hive on which she performs a selection of Dowland’s songs with the assured accompaniment of Anthony Rooley (lute) is one of her best: BIS BIS-SACD-1475 [65:22]. You’ll find full track details in an appreciative review from Em Marshall. Download in mp3, 16- or 24-bit sound from eclassical.com; the mp3 is more than adequate, the 24-bit superb. Both come with the booklet in pdf form. Emma Kirkby (soprano); Anthony Rooley (lute) – rec. 1987. DDD. There is absolutely no artistic reason why this should have fallen so far from grace that it’s available to special order only on CD, apart, perhaps, from the short playing time. The download price of £5.49 takes care of that. The many admirers of Emma Kirkby should add this and her BIS Dowland to their collections. The (live) recording is good and the booklet comes with the deal. Emma Kirkby also features among the members of the Consort of Musicke, directed by Anthony Rooley in Dowland’s First Booke of Songs or Ayres (1597): Decca Oiseau-Lyre 475 9114 [75:06], recorded in 1976. I praised this recording in my August 2009 Roundup. The link to passionato.com which I listed there no longer applies but deutschegrammophon.com offer an mp3 download for £7.99 or lossless for £9.49. 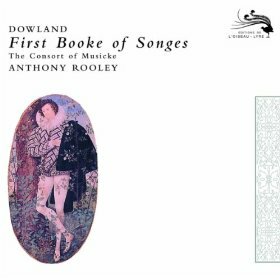 If you feel like splashing out, hmvdigital.com include this and eleven other CDs in Dowland’s Collected Works for £36.99. Neither the First Booke nor the complete set is currently available on CD but several other recordings of music from this period by the Consort of Musicke have reappeared on Australian Decca Eloquence at mid price; don’t hold your breath, but some of the Dowland recordings may join them (?). Alternatively Paul Agnew and Christopher Wilson perform a slightly understated selection from Books I and II on Metronome METCD1010 – download from emusic.com or amazon.co.uk. You can try out this attractive set of performances from Spotify. Subscribers to emusic.com can pick and choose individual items – perhaps songs that they don’t possess in other versions. 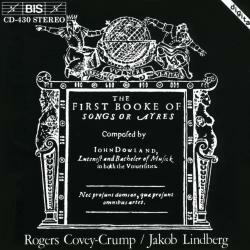 If you prefer to have the whole First Booke sung by one person, you’re hardly likely to go wrong with the 1988 BIS recording featuring Rogers Covey-Crump and Jakob Lindberg (BIS-CD-430 [72:47]). Among the virtues of this recording are the effective rearrangement of the order of the songs, beginning with one of the best known, No.19, Awake sweet love, and a negative facsimile of the first edition on the cover. Download from eclassical.com for $10.92 in mp3 and lossless and the pdf booklet comes as part of the deal. For the reasonable asking price you can download the lossless (flac) for your home audio system and return later for the mp3. I burned the latter and the mp3 version of Honey from the Hive (above) onto one CDR for playing in the car and still had room; use the free iTunes player and instruct it to burn an mp3 CD. There are inevitable duplications among these recommendations. On Hyperion CDA67648 (from hyperion-records.co.uk, mp3 and lossless [74:02]) Mark Padmore and Elizabeth Kenny include some very fine performances of songs from all the Books of Songs but the unique selling point of this album is the inclusion at its centre of Craig Ogden (guitar) playing Benjamin Britten’s Nocturnal after John Dowland, Op.70, immediately after its inspiration, Come, heavy sleep. I refer you to Michael Greenhalgh’s review of this ‘terrific disc’ (Recording of the Month) for full programme details. The sections of Dowland’s masterpiece for consort Lachrimæ (1604) are interspersed with some of his other music on In darkness let me dwell: the seven shades of melancholy (Deutsche Harmonia Mundi 88697225022 [66:30] – details here). Reviewing this on CD, I thought it well worth considering, though ultimately I prefer to hear Lachrimæ straight through without interruption. For that reason – and many more – my preference goes to The Dowland Consort directed by Jakob Lindberg on BIS-CD-316 [65:26]. 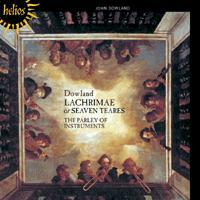 The fourteen other Dowland works which are included follow Lachrimæ. I bought that splendid recording on CD many years ago when some BIS recordings were released on the Boots label under licence: download from eclassical.com in mp3 or 16-bit lossless; both sound very well, the lossless at least as good as the Boots CD. 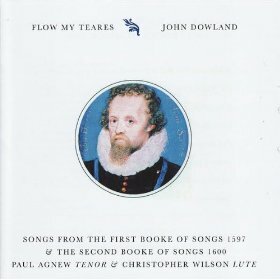 Like most of Dowland’s music, everything on this recording is predominantly melancholy: Lachrimæ means tears and the motto on the title page is aut furit aut lachrimat quem non Fortuna beavit* – but it’s a pleasant rather than a depressing melancholy. It was all part of the fashion of the day, with Dowland punning on his name and the Latin word dolens, lamenting, in one of the songs included in the collection. There’s also a budget-price collection of Lachrimæ which has the added advantage of including a few extra pieces: Hyperion Helios CDH55339 – The Parley of Instruments/Peter Holman: download in mp3 or lossless from hyperion-records.co.uk. I considered this alongside the BIS and yet another collection on Linn in the July 2010 Roundup and concluded that there was little to choose between the Hyperion and BIS versions. The Linn version (CKD194), like that on Deutsche Harmonia Mundi, breaks the sequence of the items and offers a short playing time, but has the advantage of adding a vocal contribution. 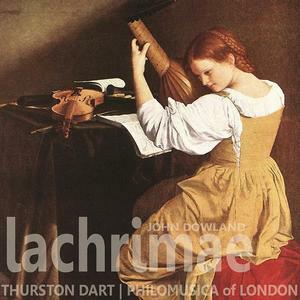 There are more than sentimental reasons for considering the pioneering (1958) recording of Lachrimæ made by Thurston Dart with the Philomusica of London for Decca Oiseau-Lyre and reissued in a decent transfer by Past Classics – download for £1.26 or less from emusic.com (mp3). Non-subscribers will find this for £2.37 from hmvdigital.com. There’s another transfer by Emkay with an inappropriately gaudy cover at a much higher price. The only possible reason for this recording to have descended to the limbo of the special-order Archive Service is that it duplicates several of the items from the Lachrimæ collection, but the performances are so good – slightly brighter and sharper in tone than the others referred to here – for me to overlook that. The slightly short playing time and the less than complete state of the pdf booklet bring the compensation of a lower price for the download of £5.49. Don’t overlook this one. If you ever have some time to spare while in the vicinity of the National Portrait Gallery in London, do try to look at the fantastic** painting of Sir Henry Unton’s (or Umpton’s) Funeral which Dowland depicted in music. 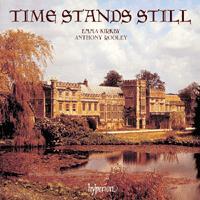 The Emma Kirkby recording Time stands still (above) is not the only one to place Dowland’s music in context with that of his contemporaries. 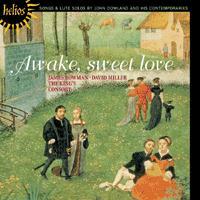 On the first-class budget-price album Awake, sweet love James Bowman (countertenor) is joined by David Miller (lute) and the viols of the King’s Consort in music by Dowland (mostly), Thomas CAMPION, Thomas FORD, Edward JOHNSON, John DANYEL, Alonso FERRABOSCO, William HUNNIS and the anonymous Come tread the paths of pensive pangs: Hyperion Helios CDH55241 [72:22]. Full track details in review by Jonathan Woolf; download from hyperion-records.co.uk (mp3 and lossless). As always with Hyperion, the download contains an exemplary booklet. Ian Partridge’s voice is sufficiently similar to that of Peter Pears to remind me of the Decca 10" mono LP on which I first heard the songs of Dowland and his contemporaries (recently reissued with Pears and Britten in later repertoire on Heritage HTGCD224). With Jakob Lindberg in the role taken by Julian Bream on that old recording this is an excellent substitute and, of course, the recording and documentation are superior to that LP or its electronic stereo successor on Decca Eclipse. 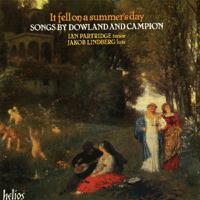 I can think of no valid reason why this recording has been deleted in CD format; Dowland and Campion make an excellent pair and the performances are sensitive. 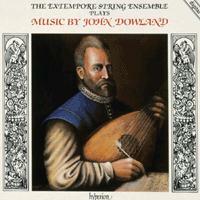 Those in search of a budget pairing of Dowland (mostly) and Campion should be happy with a recording made by James Bowman and Robert Spencer around 1978 for Saga and now reissued by Musical Concepts (Alto ALC1048); download for £4.99 from classicsonline.com (mp3) or stream from Naxos Music Library. 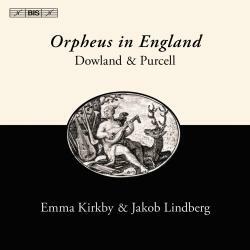 This recording pairs Dowland with another composer who was also referred to as ‘the English Orpheus’ a hundred years later. Emma Kirkby and Jakob Lindberg are as successful as you might imagine in both composers and the recording is available in mp3, 16- and 24-bit formats from eclassical.com. I recommended this in my review of another Kirkby/Lindberg collaboration: The Queen’s Music (BIS-CD-1715 – from eclassical.com in mp3, 16- and 24-bit lossless); I misquoted the price of the latter in that review, but at $9.91 it’s still very good value. I made The Queen’s Music my Recording of the Month and I see no reason to rate Orpheus in England less highly. 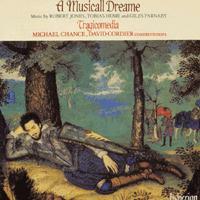 Michael Chance (counter-tenor), David Cordier (counter-tenor), Stephen Stubbs (lute), Andrew Lawrence-King (harp), Erin Headley (viol); Tragicomedia – rec. 1990. DDD. Despite critical acclaim on its release, this is another casualty of the deletions axe, saved only by Hyperion’s Archive Service and, more recently, their download provision. Despite the title, borrowed from Robert Jones, and the cover depiction of Edward, first baron Herbert in fashionable melancholy/dreamy pose, you don’t have to be in late-night mode to appreciate the music. 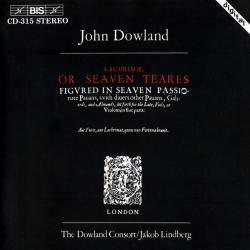 The performances and recording are excellent, the two countertenors both blending yet remaining individual better than you might imagine, and it’s very interesting to conclude with another composer’s take on the words so closely associated with Dowland, In darkness let me dwell; don’t be fooled by Coprario’s Italianate name – he was actually plain John Cooper. The scanned booklet is a bit rough and ready but perfectly adequate. Russell Oberlin (counter-tenor) and Joseph Iadone (lute) perform an attractive selection of Dowland Lute Songs on LEMS8011 [47:07]. Only the short playing time and some slightly precious pronunciation left me with marginally less than the highest opinion of this album. Though recorded as long ago as 1958, the sound is fresh and clear. 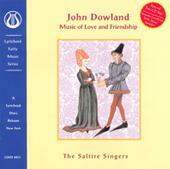 The Saltire Singers with David Dupré (lute) are also impressive in Music of Love and Friendship on Lyrichord LEMS8031 [41:17] though the playing time is even shorter on this album. They offer a selection of the three Books of Songs and their 1612 successor, A Pilgrim’s Solace, performed as part songs. The blend of voices is remarkable and the recording does them full justice. It’s a shame that the cover picture dates from an earlier century than Dowland. The doyen of Dowland’s lute music was Julian Bream; I’m pleased to see that The Golden Age of Lute Music, including Byrd, Dowland et al. has survived the deletions axe which seems to have descended on RCA’s Julian Bream Edition – at least some dealers still have the CD, though I don’t think it’s available for download. (09026615842). I see that amazon.co.uk are asking over £37 for the music by Byrd, Cutting et al. on The Woods so Wild from this series, which ought to send a message to BMG Sony about potential sales if they restored the whole Bream edition. 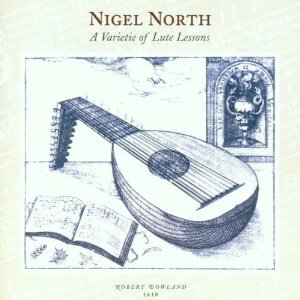 Nigel North has made a well-liked series of recordings of Dowland’s lute music for Naxos, all available inexpensively from classicsonline.com – see my review of Volume Three (8.570449), with links to Volumes 1 and 2 and details of alternative recordings. I made Volume 4 my Recording of the Month (8.570284 – review). Unwilling to leave it at that, I reviewed the download of Volume 2 and a Naxos 2-CD anthology featuring Nigel North and others (Burst forth my Tears, 8.578015/6) in the July 2009 Roundup. 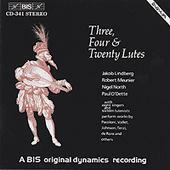 Never one to resist side-tracking, I must mention another very enjoyable recording from 1986, mostly of dance music, featuring Nigel North, Jakob Lindberg, Paul O’Dette and umpteen others lutenists and singers: Three, Four & Twenty Lutes (BIS BIS-CD-341 [52:38]) – download, with booklet, from eclassical.com (mp3 and lossless) or stream from Naxos Music Library. In fact there’s just enough here that isn’t otherwise available to make this recommendable in addition to the other recordings. Otherwise, with excellent singing, sensitive accompaniment, good recording, especially in lossless format, and informative notes and texts, this would be worth considering as an alternative. * ‘He whom fortune has not blessed either rages or weeps’. ** I mean the word in its proper sense – the painter’s imagination has captured the man’s whole life in depicting his funeral. 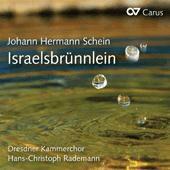 Some time ago, reviewing a Capriccio reissue of Israels Brünnlein – August 2011/2 Roundup – I found myself wishing for the reissue of the stylish and stylish presented performances of a selection from Cantus Cölln on Deutsche Harmonia Mundi. I hadn’t noticed that it had been reissued at budget price on 0886975688029. I’d also forgotten these two albums from Carus, formerly available separately and now reissued as a set, though with no price benefit as far as the download is concerned*. The performances fall between the rather severe style of the Capriccio and the madrigal-like performances on DHM. I still prefer the latter – the title page specifically refers to the music as in einer Italian madrigalischen Manier, in the style of Italian madrigals – but the Carus makes a more than acceptable substitute. The recording is good, but there’s no booklet, so no texts; those with access to the Naxos Music Library will be able to access them from the Capriccio booklet. * that’s a double pity, because, along with the lack of libretto, it prevents me from making this Reissue of the Month when hmvdigital.com are currently offering the set for the price of one album, £7.99, again without the booklet. Symfonisch Orkest van de Vlaamse Opera/Federico Maria Sardelli – rec. May 2010. 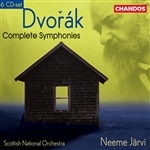 DYNAMIC CDS663 [3 CD: 3:11:05] – from hmvdigital.com (mp3) or stream from Naxos Music Library. I’ve been trying with difficulty to formulate a measured response to the DVD version of this recording (Dynamic 33663). I’m pleased to have the opera complete on record* and generally more than happy with the singing, orchestral support and musical direction, but the production is something of a hotch-potch; as is all too frequent nowadays it’s more annoying than enlightening, with silly costumes – rabbits’ ears for Hercules and a Popeye sailor suit for Jason – so I’m likely to find myself listening and not watching in future, in which case you may well wish to save yourself the £30 or so that the DVD and Blu-ray will cost you and settle for the hmvdigital.com download for considerably less (£7.99), though that means doing without the subtitles of the DVD – there’s no libretto with the download, but there is a synopsis from BBC Radio 3 here and a more detailed one from Wikipedia here, where you will also find a link to the Italian text. It’s hardly common or garden modern Italian, however, so you’ll need some assistance from the synopses. The vocal contributions are something of a mixed bunch but Sardelli’s direction is delightful; on DVD the array of continuo instruments – a viol, two lutes and two harpsichords – adds to the delight and they contribute to making the orchestra sound much plusher than would otherwise be the case. Be warned that there’s a fair amount of stage noise – this was a ‘busy’ production. Try it out first from the invaluable Naxos Music Library if you can, where you can also find a synopsis. Overall, whichever version you choose, I think you’ll be won over by the sheer fun. * It’s not actually the first recording; there’s a Harmonia Mundi version conducted by René Jacobs, no longer available on CD, but as a download from hmvdigital.com for just £7.99, albeit at a bit-rate of only 192 kb/s. 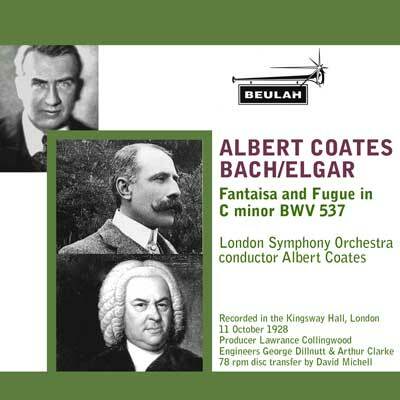 This recording was reissued by Koch on two CDs in 1993, along with several other Albert Coates vintage recordings, but that set has disappeared, leaving Beulah in sole possession on CD (Visions of Elgar, 14PD15, 4 CDs – review). Collectors will be pleased to note its separate availability now – there’s real fire in the belly of this performance – but the recording is just too dated for me to appreciate, despite all that Beulah have done to maximise the quality of the transfer. Gervase de Peyer (clarinet); Barry Tuckwell (horn); London Symphony Orchestra/Peter Maag – rec.c.1959. ADD. Australian Decca have reissued the Gervase de Peyer recording on Eloquence 476 7404 (with Spohr and Weber) and his earlier (1954) recording with Anthony Collins on 480 3608 (with the Bassoon Concerto and Flute Concerto No.2 – review), but price increases have left that label, once at super-budget price, much more expensive in the UK, so Discover and emusic.com together offer an inexpensive alternative. 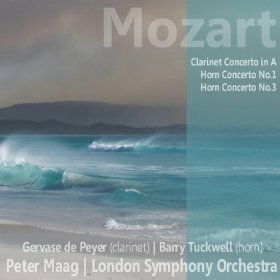 Both of the de Peyer versions of the Clarinet Concerto have strong claims to benchmark status and Barry Tuckwell’s recording of the two of the horn concertos is not far behind. The recordings in this transfer sound reasonable – there’s no trace of surface noise apart from some analogue tape hiss, but some of the transients sound less than pure and there’s not much stereo information. All in all this is an inexpensive way to obtain some classic recordings. For a better transfer (320kb/s mp3) of all the Tuckwell/Maag horn concertos plus the fragment in E, KAnh98A, hmvdigital.com offer the Decca Originals for £4.99, which is better value than their version of the Discover Classical Music release – at £6.32 against emusic.com’s £3.36 or less. The 1954 de Peyer/Collins Clarinet Concerto is also available for £1.50 from Beulah (1BX45 – see November 2010 Roundup). These recordings were supplied for review with the Beulah September 2012 releases but you may have to wait another month or so for the link above to be valid. Van Beinum’s Symphony No.33 first appeared in 1952 in tandem with Haydn (Symphony No.94). The Haffner is from a little earlier, when it was coupled with Handel’s Water Music Suite. No.33 received a fairly warm welcome, the Haffner slightly less so, with a suggestion that the power of the music was brought out at the expense of grace. Nowadays we’re less apt to think of Mozart as the musical equivalent of a Meissen figurine and I enjoyed van Beinum’s way with the Haffner a good deal more than my 1950 predecessor. Among ‘old-school’ recordings of this symphony it’s not going to replace Bruno Walter’s mono LP and later stereo recordings, but these are available now only in multi-CD boxes from Sony and Andromeda. The recording sounds a bit scrawny, but no more so than you might expect for a recording of this vintage; there’s no significant surface noise on this transfer and the ear soon adjusts to the sound quality. There’s a sample on YouTube – here. The difference of a couple of years is apparent in the much improved sound of No.33. This, too, I enjoyed hearing alongside, though not in preference to, more recent recordings such as that of Sir Charles Mackerras with the Prague Chamber Orchestra on Telarc (Nos. 31, 33 and 34, CD80190). Mackerras’s tempi are, surprisingly, just a little slower than Beinum’s; in the finale he’s more generous with repeats. Classical Opera/Ian Page – rec. August 2011. DDD. What a wonderful achievement for a boy hardly old enough to attend the grammar school for which the entertainment was intended. I seem to have been laggard in getting round to this recording – so much praise has been lavished on it, not least by our own John Sheppard, that I can only echo what they have written and confirm that the download is every bit as good as the disc. In one important respect, indeed, it’s even better because it’s available in a variety of 24-bit lossless versions at a price that won’t put too much strain on your wallet or purse. The only possible reason to prefer the older recording conducted by Max Pommer, with generally slower tempi, on Berlin Classics is that it comes with Bastien und Bastienne on an inexpensive 2-CD set (0183702BC, £9.98 from classicsonline.com – see review of the same performance on Brilliant Classics). NAXOS CLASSICAL ARCHIVES 9.80720/1 [2:22:46] – from classicsonline.com or emusic.com (mp3) or stream from Naxos Music Library (not available in the USA). This is one of the all-time benchmarks for this wonderful opera. The cast is ideal – not least the youthful Dietrich Fischer-Dieskau as Papageno – and the direction is thoroughly idiomatic. 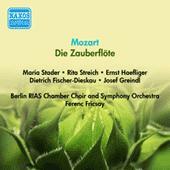 I prefer Zauberflöte without dialogue, especially as the actor’s voices here sound nothing like those of the relevant singers, and the recording is in mono, but it still sounds well, spread across two speakers. Overall it’s rather better than the Past Classics transfer which I recommended in the June 2012/1 Roundup, though that benefits from having had the dialogue edited out. Of recordings of this vintage only Klemperer has a greater claim – no dialogue at all, which I prefer, and an unbeatable cast, with star singers even in the roles of the Three Ladies. Hmvdigital.com have the latest reissue of that (EMI Opera 9667932 – review of earlier reissue) for £7.99. For a mere £1.26 emusic.com are practically giving this classic Fricsay recording away; for those who don’t have membership, classicsonline.com offer it at £3.98, which is still excellent value. Quite why amazon.co.uk are charging £14.98 is beyond me. As the Overture, Act I and Act II are each complete on one track, it’s possible to burn this as one mp3 disc and still have plenty of room to spare without risk of gaps in the music. There’s no libretto, but there’s a limit to what one can expect for £1.26 and it’s easily available online. Vokalensemble Kölner Dom – rec. Cologne, August 2011. DDD. I believe there will be three sets of reactions to these performances, some of them formulated by those who have followed Daniel Barenboim’s Beethoven symphony series at the 2012 Proms even before hearing the recordings: those who love his old-fashioned approach, those who hate it and others like myself who enjoy it mostly but find themselves shaking their heads at times and applauding at others. Even in that third category, not everyone will share my preference for Barenboim in lighter mode in Nos. 1, 2, 4 and 7. All in all, then, this is a mixed blessing. If you want to try in advance, the finale of No.5 is included on the free Linn sampler which I reviewed in the August 2012/2 Roundup. My first impression from hearing that excerpt and subsequently to Nos. 2 and 4 from Spotify was that the ‘big’ symphonies were being given meaty treatment while the other works, mainly the even-numbered symphonies, were given a lighter treatment. At first I thought the Eroica might be the exception, as it opens in a fairly light manner, but it’s not long before Barenboim hammers – or rather drums – home the point that this is Significant Music. Of course the work lends itself to a large-scale treatment but in this category I prefer Klemperer, preferably his earlier mono recording (EMI 5677402 or Naxos 8.111303: see March 2010 Roundup – download either from classicsonline.com in mp3), though the stereo makes a good alternative. The recording, naturally, is no match for the new Decca, especially in 24-bit format, but it’s still more than satisfactory. Again in the second movement funeral march, Barenboim is about a minute slower than Klemperer (mono) but sounds even heavier than that difference implies. Now that the exigencies of LP timings no longer require a turn-over in the middle of the movement, it’s a real pleasure to hear Klemperer and more of a duty to listen to the new recording. Barenboim’s admiration for Furtwängler is well known; though he moves the music along faster than his hero, who really lets this movement drag on his recording with the VPO (EMI Références- download from classicsonline.com, with No.1), I thought the pace too funereal, if that’s not a paradox in a funeral march. In the finale Barenboim captures the dance rhythms effectively – this time his tempo is considerably faster than either Klemperer recording – but with too much rubato and rather too many attempts to caress the music; it doesn’t need them to be quite so obvious. If I have a desert-island Beethoven symphony, it’s the Seventh, and the benchmark in my head is Colin Davis’s 1961 HMV recording with the RPO, now happily restored to us by Beulah (15-18BX129 – see February 2012/1 Roundup). I enjoyed Barenboim’s recording pretty well unreservedly, with Wagner’s famous description of the work as the apotheosis of the dance well in mind; perhaps the end of the third movement is a little too slow. At 6:58 he is marginally slower than Davis in the finale; Bruno Walter, whose NYPO mono LP recording has been reissued by Archipel, nearly comes off the rails at 6:24; he’s just a little too dangerously fast in this movement, which both Davis and Barenboim avoid without losing a sense of urgency. All Beethoven symphony cycles, of course, lead up to the Ninth and especially to its choral finale, but this does so more than most – I’ve even seen it suggested, quite feasibly, that Barenboim thought out his approach from the Ninth backwards. Once again this is a big-boned performance right from the outset and will delight those who, like the possibly apocryphal music student who told his professor that Beethoven wrote three symphonies, the Third, the Fifth and the Ninth, view those works as the cornerstones of his symphonic achievement. Barenboim’s dancing account of the second movement, which makes it sound like kith and kin to the Seventh Symphony, almost persuaded me in favour of his overall interpretation, but the magic fades again after that. The opening of the third movement, though marked adagio molto, is surely meant to be taken a little faster than this; even Klemperer managed to take only around 15 minutes with the Philharmonia – less still in his earlier Vox recording. A degree of compensation comes from the way that Barenboim’s players achieve the cantabile part of the marking as well as any that I’ve heard. The magic used to be shattered on single-LP versions by having to turn over part-way through this movement; that would destroy the mood of this performance pretty well completely, but I doubt if this version would ever have fitted on one LP. The finale is again a little too ponderous, though the bouncy orchestral playing lifts the mood and the quartet of soloists and the choir generally give of their best. It’s a mixed bag, then, so I’m tempted to recommend that you pick and choose – you’ll find details from the Beethoven for All website of the separate single-CD and even single-symphony releases – but Barenboim’s Beethoven is really all of a piece and best savoured as such. In any case, the Linn download of the complete set is available at a very reasonable price, ranging from £18 for 320kb/s mp3 to £30 for the 24/96 Studio Master; that compares very favourably with the prices ranging from around £27 to £36 being asked for the CD set. There’s no booklet but that’s a minor consideration when the 24/44.1 and 24.96 versions come in sound quality superior to CD if your system can handle them. The 24-bit download is excellent, with plenty of dynamic range, though that brings its own problems – at times in the finale of the Ninth the sound almost seems to disappear at listening levels which are comfortable for the rest of the symphony. 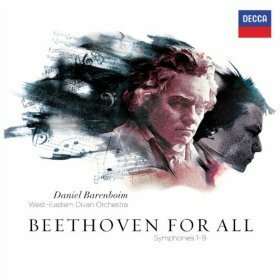 Glutton for punishment as he is, Barenboim will be releasing further instalments in the Beethoven for All series, with the Piano Concertos and Sonatas and a TV documentary – a 2-CD sampler has already appeared on 478 3513. * Download from eclassical.com in mp3, 16- and 24-bit lossless sound. Vänskä’s complete cycle on BIS is also a strong contender for the ‘best buy’ (BIS-SACD-1825/26: 5 SACDs for the price of two) alongside Mackerras (CDS44301/5, also available on CD and as a download at a special price). Brahms leaves no doubt at the start of this concerto that it’s going to be a large symphonic-scale work – his First Symphony, for which it was in some senses a trial run, was still 63 opus numbers in the future – as he struggled from beneath the shadow of Beethoven, not wholly successfully as it turned out. Even when the soloist enters in rather softer vein, the feeling continues that this is going to be a big-boned performance; it’s an interpretation of an aspect of Brahms that is certainly defensible. It’s not all in the same manner; there’s some tender playing, too, especially from Claudio Arrau, and I enjoyed hearing it, though I wouldn’t choose it as my main recording. The other side of the coin however, is that some – Edward Greenfield, no less, for one, in 1961 – have found it stodgy. I deliberately played this ‘blind’ but Arrau was certainly one of the pianists I would have guessed; I almost always enjoyed his performances and this is more sensitive than those which sometimes led reviewers to pun on his name and the word ‘row’. Those who fall into the anti-Arrau camp, and even those who, like me, don’t, might well prefer Clifford Curzon’s stereo remake from much the same vintage (Decca Heritage 478 1386, budget price, with the Second Piano Concerto) or, perhaps better still, Emil Gilels and Eugen Jochum in the two Brahms concertos on a DG Originals twofer (447 4462). You’re likely to find both these sets less expensively on CD than as downloads. 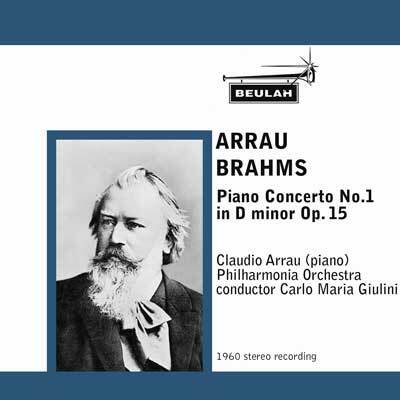 EMI have reissued the Arrau/Giulini recordings of both Brahms concertos in a budget 3-CD pack (The Concerto Album 5094212 – see review by Rob Maynard, who, like me, enjoyed the delicacy of some of Arrau’s playing), but Beulah offer the only way of obtaining the First Concerto on its own and at an economical price. The recording still sounds well in this transfer. 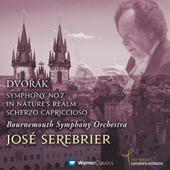 Bournemouth Symphony Orchestra/José Serebrier – rec. 2010? DDD. Malaysian Philharmonic Orchestra/Claus Peter Flor – rec. September 2010 and July 2011. DDD. José Serebrier’s earlier recording of the New World Symphony didn’t quite have me jumping for joy, but I thought it a fairly strong competitor in a crowded market – see November 2011 Roundup. The new recording of No.7 comes into more or less the same category: nothing here had me leaping up in anger and I enjoyed the performance, but equally I didn’t discover any fresh insights into this symphony. A liltingly sensitive performance of In Nature’s Realm adds to the attraction. As before, Dvořák in dance mode is emphasised; a lively Slavonic Dance is placed to the fore and a too languid account of the Scherzo capriccioso aft of the main menu. Serebrier is slower in the Scherzo than Jiří Bělohlávek (Chandos CHAN9475, with Symphony No.5 and The Noon Witch)* and the difference is more significant than the mere 51 seconds on paper. At £6.99 classicsonline.com downloads of full-price Warner releases are very good value. Those in search of even better value, however, should bear in mind Marin Alsop’s recordings of Symphonies Nos. 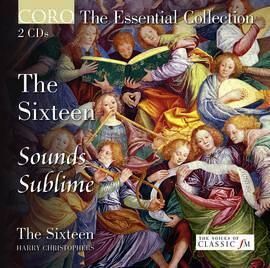 7 and 8 on Naxos 8.572112, yours for £4.99, again from classicsonline.com. Her version of No.7 caught my attention more than her Eighth, and two of my colleagues also had reservations – review and review. You’ll find my thoughts on that recording and other versions of the Seventh (coupled in some cases with the Eighth) in the May 2012/1 Roundup, where you’ll also find Dan Morgan’s review of the recent BIS recording of No.7 from Claus Peter Flor. Of all the versions discussed there my Desert Island choice would be Iván Fischer with the American Suite, on Channel Classics CCSSA30010. Claus Peter Flor’s series of the symphonies with the Malaysian Orchestra now moves on to an impressive version of No.8, far more idiomatic than the version which he made with the RPO for RCA several years ago. If anything, competition in No.8 is even fiercer than in its predecessor, with a classic recording from Rafael Kubelík (DG Originals 447 4122) and a more recent SACD from Iván Fischer (Channel Classics CCSSA90110) heading the list for quality and value – both couple Nos. 8 and 9. You’ll find appreciative reviews of the Fischer recording in its earlier Philips incarnation from John Quinn – here – and from me in the July 2010 Roundup. You’ll also find from that July 2010 Roundup that I thought Marin Alsop excellent value on Naxos (8.572112) – still only £4.99 from classicsonline.com. 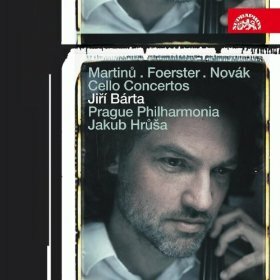 I didn’t think Flor quite the equal of Kubelík or Fischer, but very well worth considering if you already have a good recording of the New World Symphony – perhaps Kubelík again in the alternative coupling with extracts from Vltava, formerly on Eloquence and now on budget price DG Virtuoso 478 3378. Just occasionally in the first two movements I thought that Flor paused a little too often to admire the scenery; it’s not a major problem but it does make him sound slightly too leisurely by comparison with the two Mackerras recordings (details at end of review) though his overall timing for the first movement is only two seconds slower than Fischer’s. At first glance Flor’s time of 27:02 for The Golden Spinning Wheel looks slow by comparison with Jiří Bělohlávek’s 22:41 on Chandos CHAN9048, also coupled with the Eighth Symphony, but that’s mainly because, very surprisingly, the Czech performers prune the music. By adding the Scherzo capriccioso to those two works, too, the new recording comes with a significant advantage in playing time. Sir Charles Mackerras’s fast-paced account on Supraphon is hard to beat in this work, however, either with a fine account of Symphony No.6 (SU3771-2) or in an even more recommendable set of the symphonic poems (SU4012-2: Recording of the Month – review and August 2010 Roundup). Having felt that Serebrier was rather too laid-back in the Scherzo capriccioso, I was interested to see if Flor’s faster tempo – a whole minute faster – would do the trick. The short answer is yes – this isn’t quite the most capricious version that I’ve ever heard, but it’s one of the best. Bargain-hunters should note that I also very much enjoyed Marin Alsop’s version of this work, coupled with the Sixth Symphony (Naxos 8.570995 – see January 2011 Roundup). I enjoyed both these new recordings enough to make an mp3 CD combining them to play in the car – there’s room for both and more in that format. The great advantage of eclassical.com’s policy of allowing you to return to your purchases is that, as with Chandos’s theclassicalshop.net, obtaining a lossless version allows you to come back and download the mp3 version for your personal player. That also allowed me to compare the Warner and BIS recordings on a level playing field in mp3. Both are good, but the BIS recording has extra body and presence even in that format. Subscribers to the Naxos Music Library can make the same comparison there. Listen to the 24-bit version, however, and the advantage over the very good mp3 is worth the small extra outlay. * Bělohlávek is faster still in his BBCSO version of the Scherzo with Symphonies 5 and 6 on Warner Classics 825646323562 – I think he’s a little too headlong there, though the rhythm is infectious; subscribers to the Naxos Music Library can compare his two versions with those of Serebrier and Alsop for themselves. His version on Chandos CHAN9475, with Symphony No.5, also available for streaming from NML, is rather more measured. I recall that he took just over 12 minutes with the BBCSO at the Barbican in 2007 without sounding at all rushed, so the stopwatch doesn't always tell the full story. His timings for the Fifth Symphony then, too, were quite different from those on his Warner recording with the same orchestra and different again from those on his Chandos recording with the Czech Phil  conductors do change their minds. I have to admit that I’m no expert on, nor, indeed, a great lover of G&S, apart from confections such as Pineapple Poll. There are, however, two exceptions where more serious themes are touched on – Mikado and Yeomen. 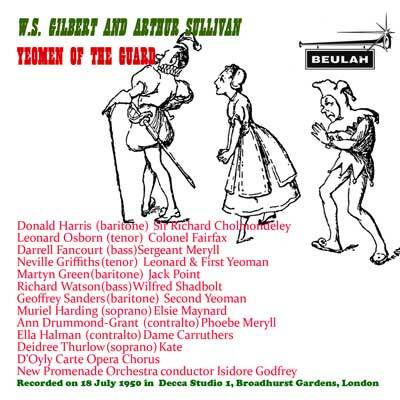 Later recordings have come and gone – even the D’Oyly Carte stereo remake with Sir Malcolm Sargent seems to have disappeared from the catalogue, though his EMI version remains available* – so the reissue of this 1950 classic is very welcome, archaic diction and all. It almost converted me to the G&S cause; now I’m going to try the Proms performance of Yeomen to see if that conversion can be complete. There’s a Naxos Historical reissue of this recording (8.110293/4: review – download from classicsonline.com, not available in the USA and some other countries) but you’ll find the Beulah transfer a much less expensive proposition. The recording has come up sounding bright and fresh in this transfer, with just a trace of overload in the loudest passages. 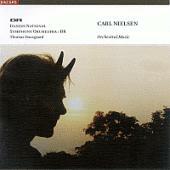 * EMI 0951072 – download from classicsonline.com (mp3) or Classics for Pleasure 2134652, both at budget price. The hmvdigital.com download comes at a much better bit-rate of 320 kb/s, but the emusic.com is considerably less expensive and, despite the habitual niggardliness of emusic’s bit-rate, the sound is more than acceptable – bright and fresh to match the music and the live performances. The picture of the limpid stream on the cover just about sums it all up.  Wind Quintet in D, Op.95: BIS BIS-CD-612: Berlin Philharmonic Wind Quintet (+ PLISS, ZEMLINSKY and REINECKE Wind Quintets) – from eclassical.com (mp3 and lossless or stream from Naxos Music Library).  See also Martinů (below). Danish National Symphony Orchestra/Thomas Dausgaard – rec. 2007. DDD. 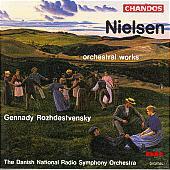 Danish National Symphony Orchestra/DR/Gennady Rozhdestvensky – rec. 1983. DDD. The big attraction for me on these two recordings is the Helios Overture, which I got to know by accident – a mail-order catalogue number error led to an LP recording of this and the Violin Concerto being sent to me by mistake – and immediately fell in love with. There’s plenty to love in the other works on these two albums, as well. As for the performances and recordings, choice of coupling could safely be the deciding factor – and there’s even plenty in common in that respect, too. Both recordings are very good and both offer the advantage of purchasing the lossless version and returning later for the mp3. The eclassical.com offers a 24-bit version as well as the 16-bit. 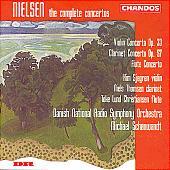 Danish National Symphony Orchestra/Michael Schønwandt – rec. 1990. DDD. The only current competitors with this coupling are on BIS-CD-616 – download from eclassical.com in mp3 and lossless – and Naxos 8.554189 – review. All may be purchased with confidence – compare them in the Naxos Music Library if you can. Otherwise, you may well find yourself obtaining the Violin Concerto in a coupling with the Sibelius, such as the mid-price version from Cho-Liang Lin and Esa-Pekka Salonen (Sony SMK89748 – review – or on a budget 6-CD set 88697584232) or with the Tchaikovsky in a new recording which I haven’t yet heard from Vilde Frang and Eivind Gullberg Jensen (EMI 6025702). Russian State Symphony Orchestra/Valery Polyansky – rec. 2003. DDD. 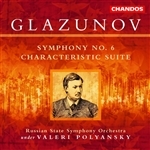 The Sixth is generally regarded, with some justification, as Glazunov’s best symphony. If you followed Nick Barnard’s reference to the super-bargain BIS/amazon.co.uk download set of all the symphonies (Tadaaki Otaka) – June 2011 Roundup – or purchased the Melodiya/amazon.co.uk super-bargain set from Vladimir Fedoseyev which I recommended earlier – November 2010 Roundup – you may be looking for a version of the Sixth to supplement the recordings included in those offers. Good as Otaka and Fedoseyev are, there’s a case for adding one of the better performances by Polyansky or Serebrier and thereby obtaining some more music by Glazunov into the bargain. There’s very little to choose in the symphony in terms of tempo and interpretation: Fedoseyev is generally slightly the fastest, except in the finale where Otaka, Polyansky and Serebrier have the edge; to the benefit of the music, I think, they are all faster and livelier than Fedoseyev and within seconds of each other. Both the Chandos and Warner recordings are good; the former comes in mp3 and lossless and with pdf booklet, the latter in mp3 only and without booklet but, at £6.99, it’s £1 less than the Chandos in its least expensive form, on mp3. 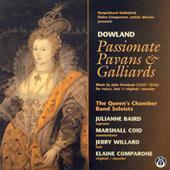 The shorter works on Chandos and Warner make for attractive listening. The Warner couplings are the more substantial, but if you bought the Fedoseyev bargain and would like to add two symphonies rather than the Sixth plus other orchestral music, eclassical.com have Otaka’s Sixth coupled with the First Symphony on BIS-CD-1369 [71:29] with booklet in mp3 and lossless sound. The only problem here is that you are likely to want all the Martinů cello concertos on Chandos CHAN10574 (Wallfisch/Bělohlávek – review and March 2009 Roundup: NB: please note new mid-price catalogue number), which means duplicating one major work from the Supraphon recording. As with the Violin Concertos, the hmvdigital.com download comes in better-quality mp3 but the emusic.com has the price advantage. There’s a late medieval treatise on attaining spiritual enlightenment, The Cloude of Unknowyng; Evelyn Underhill’s lightly modernised version of the original Middle English text is available online, the original text is offered by TEAMS, with notes, and there’s a Penguin Classics translation. Its essential message, derived from pseudo-Dionysius the Areopagite, is that the less we strive to know, the more we are likely to obtain enlightenment, not advice that I find easy to follow. In this case I can’t un-know the fact that this recording has already received some enthusiastic reviews. I don’t think I’ve been unduly influenced, however, in awarding it high status. The major work here is Schelomo (Solomon), originally planned as a setting of parts of the book of Ecclesiastes which developed into a meditation for cello and orchestra. 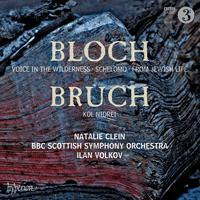 We weren’t short of good recordings, some coupled as here with Bruch’s Kol Nidrei, and two on offer at less than full price: Steven Isserlis and Richard Hickox on a budget Virgin twofer and Pierre Fournier and Alfred Wallenstein on DG Originals at mid price. 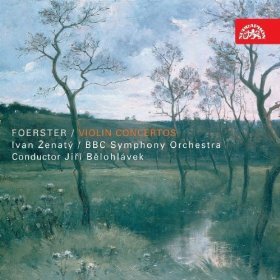 The Fournier is effectively my benchmark for this work, as it used to be coupled with the Dvořák Cello Concerto and Kol Nidrei on one of my favourite recordings of the Dvořák (429 1552 – download only). Fournier and Wallenstein squeeze a little more heartfelt emotion out of the music than Natalie Clein and Ivan Volkov, who adopt a slightly faster tempo overall, thereby capturing just a little more of the great king’s power, though without playing down the more meditative sections. I was less enthralled by the two other Bloch works, but that’s due more to the music itself than to the performances, and Bruch’s Kol Nidrei rounds off the programme as well as it began; again Clein and Volkov are a little faster overall than Fournier, this time with Jean Martinon, or Han-na Chang and Mstislav Rostropovich on a budget 3-CD set from EMI – review* – without demeaning any of the music’s quality. The recording is first-rate and comes in 24-bit Studio Master sound, still at a very reasonable price. * download only, from amazon.co.uk. Even better value on 50 Best Cello and 100 Best Cello, also from amazon.co.uk. George Lloyd and Havergal Brian were the neglected English symphonists of the late 20th century, though Brian is enjoying something of a posthumous rehabilitation and Albany still offer their series of recordings of Lloyd’s music conducted by the composer. If I suggest that Lloyd is the easier to come to terms with, that doesn’t mean that his music is facile; the Fourth Symphony, for example, evokes the rigours of the wartime Arctic convoys from Britain to Russia. 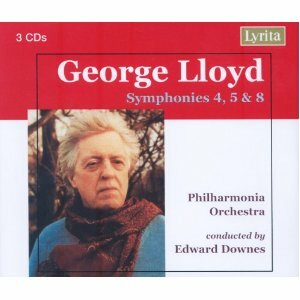 There’s plenty of lyrical music, too, even in this symphony, and nothing really to frighten the horses in Lloyd’s output. I can’t imagine better performances, even on that Albany composer-conducted series. On CD this comes as a bargain 3-for-2 set, £23 from MusicWeb International – here – but the download is even more economical – just £5.04. Even though the bit-rate hovers only around the 190 kb/s mark, the sound is more than acceptable. You will lose out on Lewis Foreman’s authoritative notes, but Rob Barnett’s review should help fill some of the gaps. The music on these two CDs of highlights from the catalogue of The Sixteen ranges from Tallis, Palestrina and Victoria via Bach, Handel, Mozart and Brahms to Barber, Britten and John Tavener; you’ll find details of the full tempting programme by following the link above. The prices range from £12.99 for mp3 and aac via £15.99 for flac and alac to £18.00 for the right to download all formats, which is handy if you wish to have a lossless version for your audio system and mp3 or aac for your mp3 player. There’s just one essential caveat – having heard these snippets you may well want several of their parent recordings. Those originals are listed in the pdf booklet; those which aren’t yet available from thesixteendigital.com can be found at classicsonline.com (mp3) or streamed from Naxos Music Library. 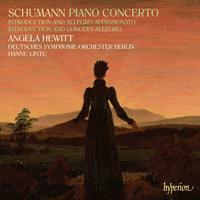 Geoff Molyneux has provided some additional thoughts on the SCHUMANN Piano Concerto and other works (Angela Hewitt, Deutsches Symphonie-Orchester/Hannu Lintu Hyperion CDA67885 [62:00]), which I reviewed in the August 2012/1 Roundup: Download of the Month. 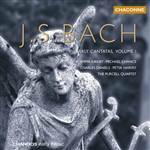 Angela Hewitt gives a revelatory account of this oft-recorded concerto. The introductory cascade of piano chords is clean and straightforward with no quirkiness of expression or tempo as in some recordings. The first theme is then beautifully enunciated by well-blended reed woodwinds with the theme ravishingly played by the oboe. Then Hewitt repeats this first subject a little more slowly with lovely tone and expression. The tempo soon picks up however with the next entry of the orchestra. I only have one niggle, which is that I am unconvinced by the sudden tempo increase at the commencement of the forte octaves a little further on. I find this quite a jolt, and she does the same in the recapitulation. Also it is not totally controlled, as well as being unnecessary. Radu Lupu has the right idea here and there is no tempo increase marked by Schumann. Hewitt plays beautifully in the Andante espressivo where we hear a sublime dialogue with the orchestra’s excellent principal clarinettist. The third movement is a little on the slow side but this does allow for real clarity of texture and articulation. There is real transparency in this light and airy performance, for example at the beginning of the development section in fugato style. I do find that as much as I admire this interpretation it does lack a real sense of vivace in this Allegro vivace movement. Radu Lupu, with André Previn and the London Symphony Orchestra*, gives a more fiery and exciting performance. Although Hewitt is very refined, her leisurely pace ensures that there is no sense of danger here. The performance of this concerto is very fine and well worth hearing but I would not make this my benchmark recording. It is good to have the additional two works presented here rather than the inevitable Grieg Concerto. There is a lovely balance between the orchestra, which has the main thematic material at the start, and the arpeggio figures in the piano at the commencement of the Introduction and Allegro Appassionato. There then follows some scintillating playing with much rhythmic zest in the ensuing Allegro Appassionato. Again in the Introduction and Concert-Allegro, there is some superb playing from Hewitt. The solo piano cadenza towards the end has some tender moments as well as more dramatic sections. Beautifully performed and recorded! Hewitt’s performances are characterised by lightness of touch and great clarity of texture, and all three works are well-recorded and performed. In spite of my minor reservations in the concerto I strongly recommended listening to this excellent Schumann recording. I also like Angela Hewitt’s interesting and informative programme notes. 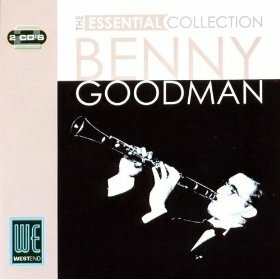 Two CDs – 48 tracks in total – of vintage Goodman recordings in decent transfers, as recommended by Geoffrey Smith in Jazz Legends, all for just £4.99; that’s good value in any book. Strongly recommended; burn as an mp3 CD via iTunes for playing in the car or sync to your mp3 player. The only grumpy comment on the amazon.co.uk website is from someone who couldn’t play the tracks but did get a speedy refund!